Today, we just broke ground on a new custom home in Monument, Colorado: the Brown Residence. 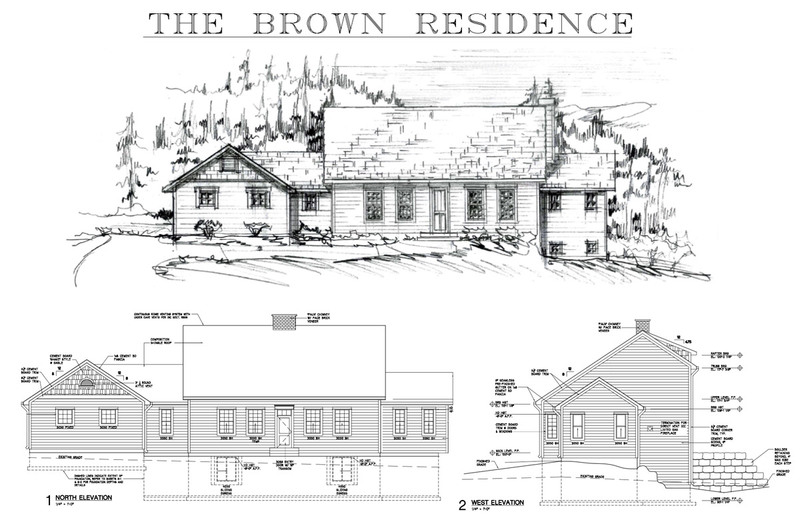 The Browns asked us to help them collaborate with an architectural firm to design a home that would reflect an American Colonial style called “Saltbox,” (which is similar to Cape Cod homes you see frequently on the East Coast). We always like a new architectural challenge, or a request for a design style that’s different than the usual, and the Browns gave us an enjoyable challenge. Working with David A Langley Architects, it took some work to design their home with the bare simplicity demanded by the New England look while still making enough room for the home to be spacious and to feel roomy inside. The Saltbox style was a refreshing change for us, and brought with it some interesting demands, including: a very asymmetrical look, an exact number of windows with a specific layout for where they need to go, as well as the sharply sloping roof towards the back. We’re looking forward to completing this home, and think that it will stand out as a beautiful addition to the part of the forest they’re building in up in Monument.